I am always on the search for yummy desserts that are lower in fat, sugar and calories. I have tried many, but have not posted them because I have thrown them away. There is no sense in wasting my time posting something I think is not good. 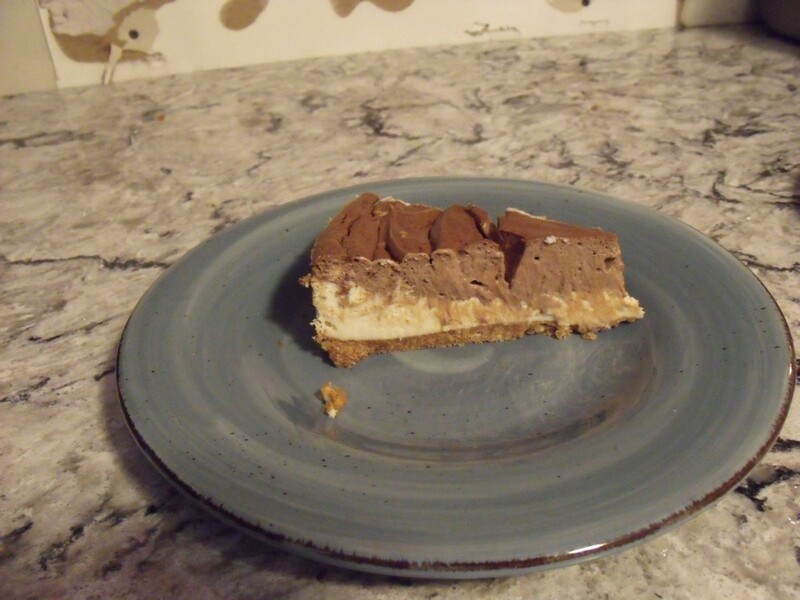 However, I just happened to find this yummy Diabetic chocolate swirl cheesecake recipe as I was googling stuff, and it looked pretty good, so I gave it a whirl! I found this recipe at The Diabetic Gourmet Magazine website. It received RAVE reviews from my BFF The Newyorican, as well as The Genius (who is a picky 13 year old). Bluebell and I enjoyed it also, although I must admit I put some sugar free chocolate sauce on mine…..
1. 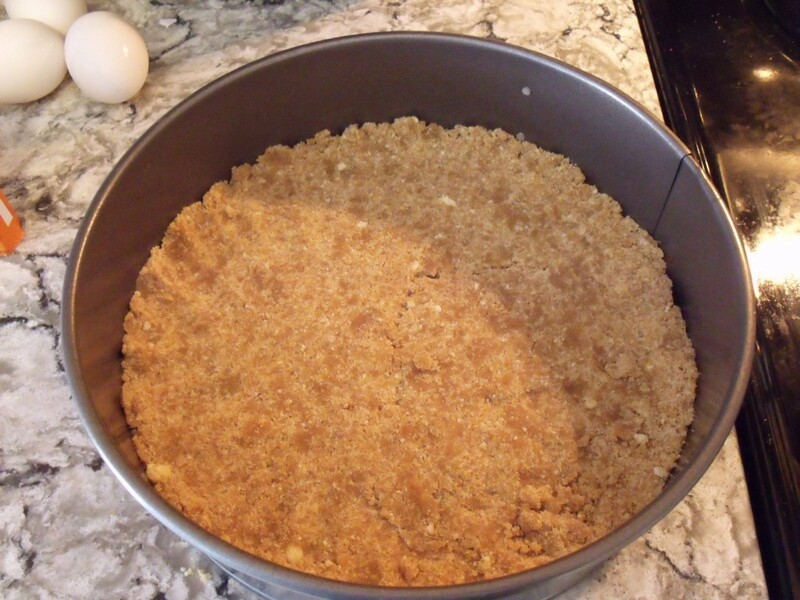 For Crust, mix vanilla wafer crumbs, butter and 2 tablespoons Equal®. Press onto bottom and 1/2-inch up side of a 9-inch springform pan. Bake in preheated 325F oven 10 minutes. Cool on wire rack while preparing cheesecake. 2. For Cheesecake, beat cream cheese and 3/4 cup Equal® in mixing bowl on medium speed of mixer until smooth and well combined. Mix in eggs, egg whites and cornstarch. Fold in sour cream and vanilla until combined. 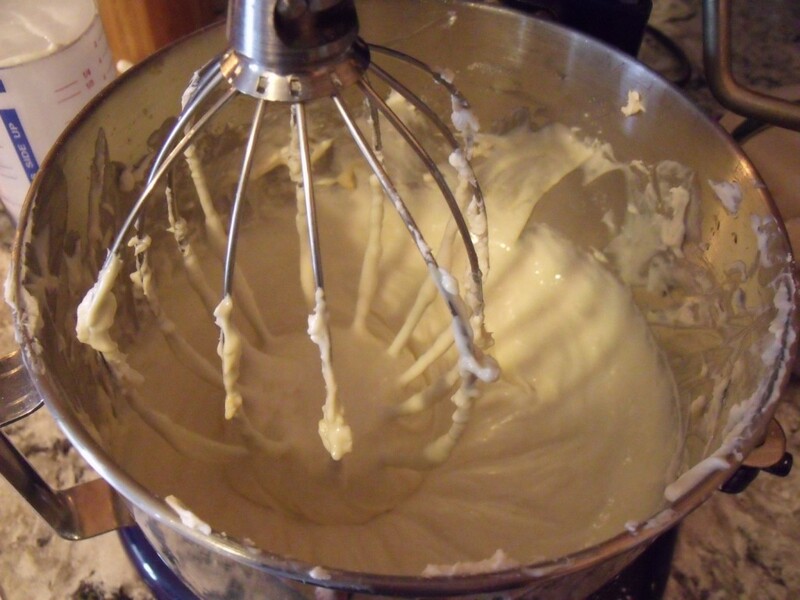 Remove 1/2 cup cheesecake batter. Pour remaining batter over baked crust. 3. 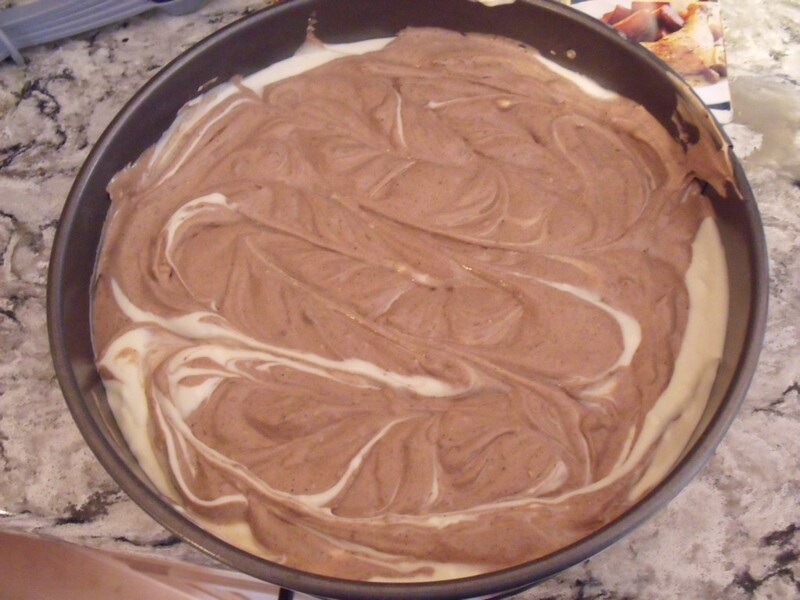 Add melted chocolate and fat-free milk to 1/2 cup reserved cheesecake batter; mix well. 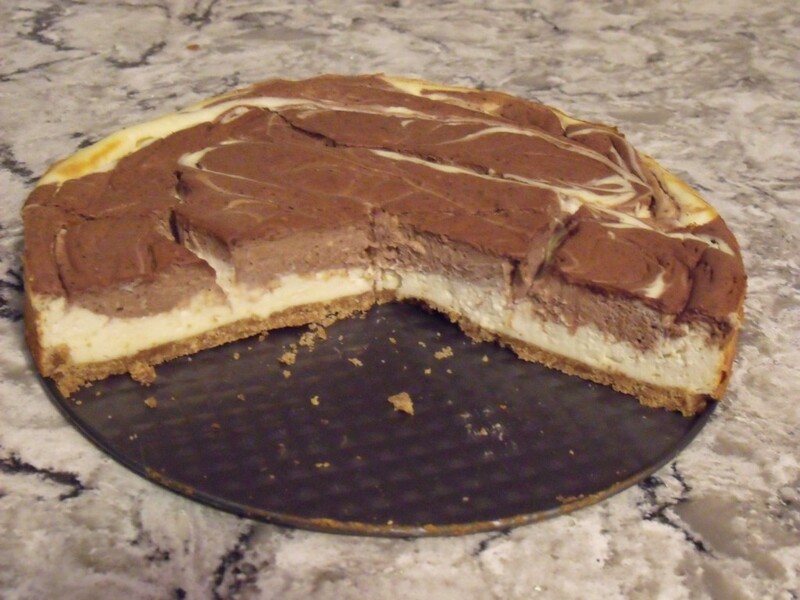 Place spoonfuls of chocolate mixture on top of cheesecake. 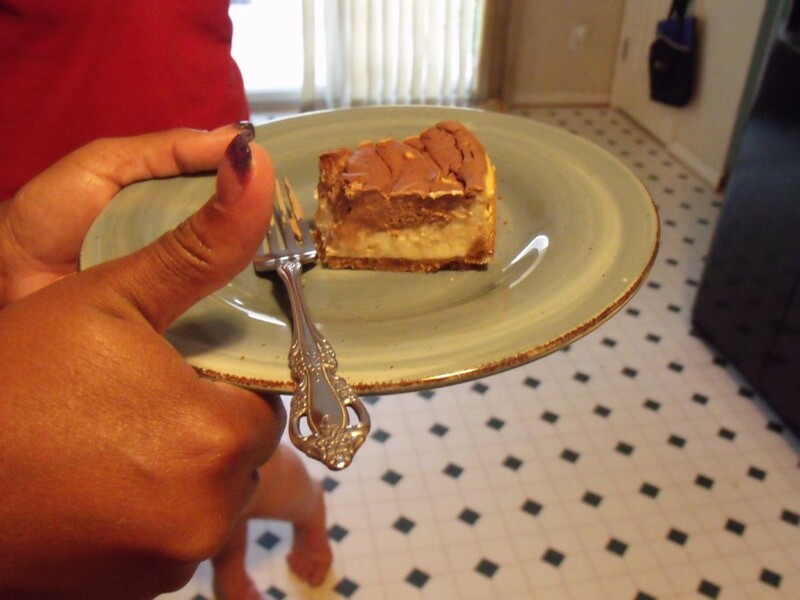 Using tip of knife or spatula, gently swirl chocolate batter into cheesecake. Easy to make, delicious and low sugar! Can’t beat that!!! Low Fat Nilla wafer crust. 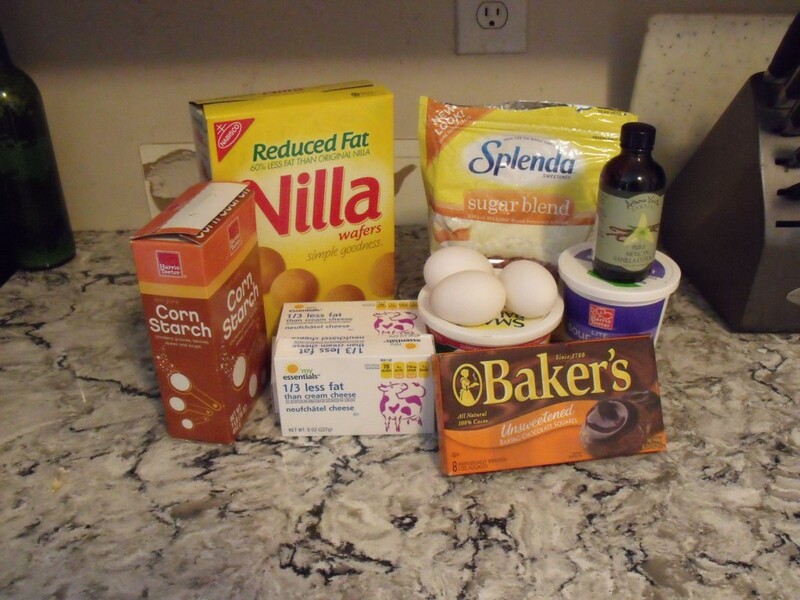 Cheesecake mix in the bowl. 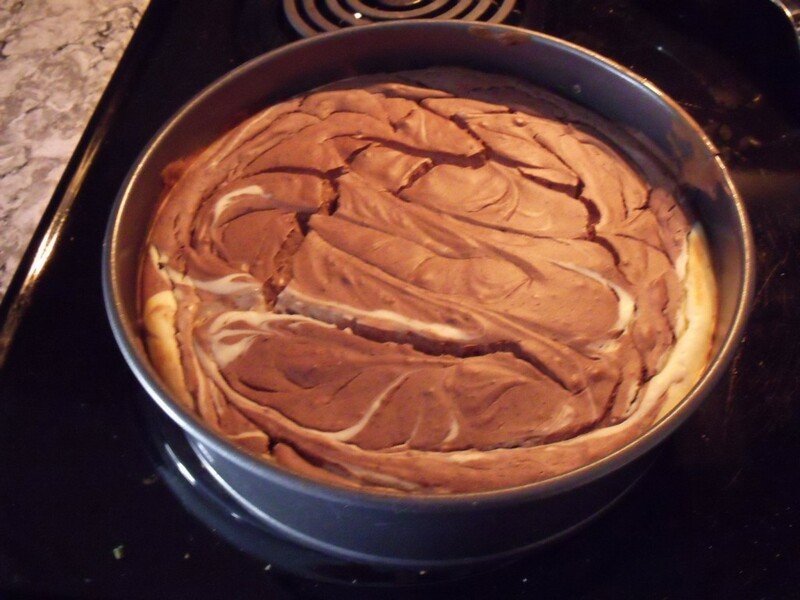 After combining chocolate and regular batter, swirl with a butter knife. Great looking. Thanks for the treat today.